ROME, Sep 18 2009 (IPS) - Hazel Henderson is a futurist, an economic iconoclast, founder of Ethical Markets Media, and author of the books Building A Win-Win World, Beyond Globalization, Planetary Citizenship, and Ethical Markets: Growing the Green Economy. Her main focus is exploring the “blind spots” in conventional economic theory. 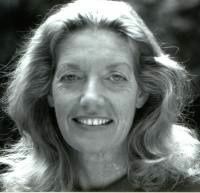 She has devoted her research to the creation of an interdisciplinary economic and political theory with a focus on environmental and social issues. For instance, she has investigated the “value” of fresh water and clean air, needed in huge amounts to sustain life, but taken for granted. In the wake of the publication of the “Stiglitz-Sen report” – which says that countries need to find ways to measure well-being alongside raw economic growth, her views couldn’t be more pertinent. Henderson spoke to IPS in an emailed interview. IPS: We often hear that country X will not reach the Millennium Development Goals. According to Jan Vandemoortele, one of the architects of the MDGs, the MDGs have become money-metric and donor-centric, meaningless catch-all phrases. If there are no concrete, common, comparable targets, how do we know we have been successful? HAZEL HENDERSON: We need to see the MDGs in the rapidly changing world context since 2000: the U.S. has lost its single superpower position. China, India and Brazil are now key global players, the G7 and the G8 are superseded by the G20, and soon the G192 will be the expanded venue for democratising the global economy after the crises in finance changed the game for all players. So, we need to retain the MDGs as the goal and align them with the rapidly emerging consensus on climate change: the Global Green New Deal, lead by private investments by the world’s pension funds (assets of over 120 trillion dollars) and with low-risk government guarantees for 10 trillion dollars of Climate Prosperity bonds over the next decade. Since all the old metrics: GDP-measured economic growth and traditional “efficient markets” model are now defunct, we need to not tie MDG goals to these old metrics. New scorecards of progress beyond money-coefficients now appearing in Europe, Canada, China, Brazil and many other countries will be able to track MDGs performance more realistically. IPS: French President Nicolas Sarkozy asked award-winning economists Joseph Stiglitz and Amartya Sen, and 20 other experts to find new ways to measure growth. The panel issued a report that says that countries need to find ways to measure happiness and well-being alongside raw economic growth. How would this new way of measuring growth affect poor countries? Bhutan, for example, declares a high “Gross National Happiness”. If a new well-being index is the reference for wealth, Bhutan may need no aid, trade or investment in spite of being one of the poorest countries of the world… HH: The Stiglitz-Sen report is moving in the right direction but too slowly and is still trapped intellectually in the now-defunct “economics box”. Complex human societies can never be measured by using a single discipline, especially by economics which was never a science. Economic calculations are blind to most of the social and environmental costs its narrow decisions impose on others, reframed as “externalities,” i.e., costs companies and projects omit from their balance sheets. These uncounted impacts of financial decisions have accumulated unnoticed by economists until they are now crises of poverty, inequality, social exclusion and pollution – culminating in the greatest market failure: climate chaos. Stiglitz and Sen cannot see that new national indicators of “progress” must be multi-disciplinary and use many metrics as appropriate in the kind of systems approach used in the Calvert-Henderson Quality of Life Indicators, an alternative approach I designed with the Calvert Group, tracking 12 aspects of quality of life. I am very cautious about “happiness” indicators because they are culturally dependent and too subjective (e.g., people living near a hidden toxic dump or drinking polluted water can say they are “happy” while ignorant of these dangers). Conservative economists and statisticians have seized on “happiness” surveys as an excuse to cut social welfare budgets. IPS: The report recommends GDP growth be used simply to measure market activity and that new systems take into account environmental health, safety and education. Aren’t MDGs enough as a reference? HH: The report is in error in recommending that GDP continue to be used to measure market activity because this would perpetuate ignoring the social and environmental “externalities” piling up. These must be subtracted from GDP to calculate a net level of real GDP. The report also makes the mistake used by statistical offices and the United Nations System of National Accounts (UNSNA): keeping social, environmental, health, education, poverty gaps, etc. which have proliferated but are designated as “satellite accounts” and therefore ignored by media and devalued. Real reform of GDP as I have urged, explicitly covering goals similar to the MDGs, is still needed. The Stiglitz-Sen commission was composed of economists rather than including sociologists, health experts, educators, and environment experts. This highlights that policy changes are needed to restructure work, pay, pensions and the way money itself is created and allocated. Money has no intrinsic value – it is merely one form of information. The evolution of human barter and money systems now means that money can no longer allocate resources. Finance must be reformed to serve real production and access to money and credit must also be democratised. In today’s Information Age, much trading is now via information; the new form of barter now is electronic. So, your questions focus well on the need for these fundamental reforms. IPS: How could the value of a forest, for example, be counted as part of one countries’ resources or growth? HH: The value of forests and all our ecosystems’ life support must be valued as factors of production – much more basic than just land (in the old model: land, labour and capital). Ecosystems are natural capital assets and have been estimated at providing approximately 34 trillion dollars of services to human societies annually, but missing from GDP. In our Beyond GDP proceedings, we went much further than the Stiglitz-Sen report. Both unpaid work and ecosystem services flow from social capital and ecosystem capital which are assets estimated by the World Bank in its Wealth of Nations Report (1995): social capital at 60 percent; ecosystem assets at 20 percent; built capital (factories, roads, etc.) at 20 percent. Thus, the World Bank admitted that 80 percent of the wealth of nations was overlooked in their programmes, which focus mostly on the 20 percent of human-built capital. This report was never incorporated into the UNSNA’s model of GDP. This key reform of GDP is the addition of an asset account to record not only the social capital of a society and the ecosystem assets, but also its tax-supported public investments in infrastructure: roads, schools, ports, hospitals, internet, etc. These public assets if valued and on the GDP books would counterbalance the public debt used to create them. I have argued for decades in many countries for this simple accounting change, which would cut most countries’ public debts by over 50 percent with the stroke of a pen! Wall Street and sovereign bondholders resist this change because it would also cut interest rates by 50 percent. The U.S. in 1996 made a start at accounting for public investments as “savings”. This still inadequate change contributed about a third of the Clinton Administration’s budget surplus (the rest from tax receipts from the dot.com bubble and a cut in military spending). Canada followed suit in 1999 and turned its deficit into a 50 billon Canadian dollars budget surplus! IPS: You are leader of the international movement to review the GDP as the only measure of growth. From your perspective, has the “Stiglitz-Sen report” left anything out? HH: This asset account is still not addressed in the Stiglitz-Sen report. IPS: What is the practical significance of this report outside France? HH: Because Stiglitz and Sen are well known, this report will elevate the debate in media. Politicians aligned with business and finance will resist, as will conventional statisticians because it will reduce their claim to profits and politicise economics and reveal its lack of any scientific basis. Similarly, statisticians and many academics will have to write off their intellectual investments, reshuffle their models and time series and defer to many other more scientific measures of current world problems and conditions. IPS: Is it a coincidence that this “conceptual revolution” coincides with a new push in favour of the Tobin tax – intended to put a penalty on short-term speculation, supported now by unexpected advocates like Adair Turner, technocrat and chair of the British Financial Services Authority? HH: I am happy to see Lord Adair Turner revisiting the proposal for a financial transaction tax – which now must be by international agreements by the U.N. General Assembly. Even Larry Summers (Director of the White House’s National Economic Council for President Barack Obama) proposed a financial transaction tax in a paper he wrote in 1989. I proposed it in 1995 in the book The United Nations: Policy and Financing Alternatives, which I co- edited with Harlan Cleveland and Inge Kaul. I and my partner, mathematician Alan F. Kay, also designed a computer programme to make collection of such a small tax – the Foreign Exchange Transaction Reporting System, which earned a patent, now expired. IPS: And now what? HH: The next steps are to publicise all these reform proposals more widely, including the European Commission’s directive September 2009 proposed for the EU countries in 2010 by Stavros Dimas (European Union commissioner for the environment) and the new Canadian Index of Wellbeing, and the Chinese Green GDP (which has run into local opposition from provincial politicians still judged and rewarded by GDP standards). I would love to engage in an open debate with Stiglitz et al on all this! *Miren Gutierrez is IPS Editor-in-Chief.